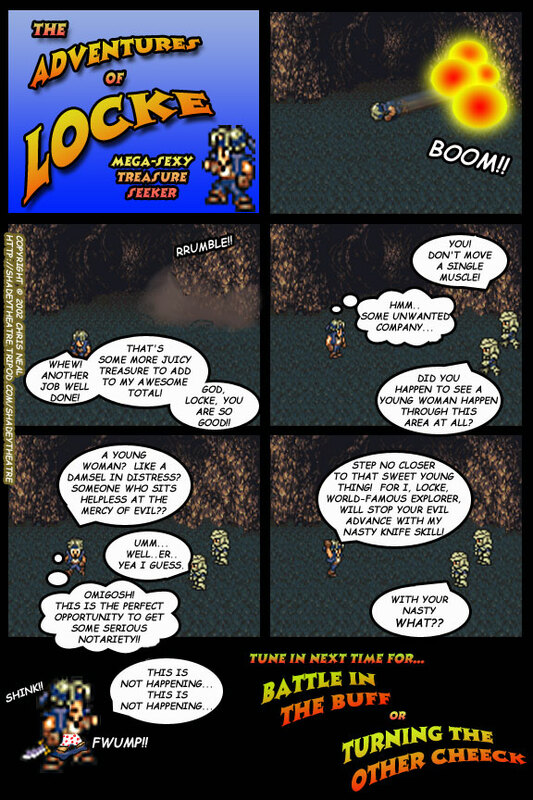 ﻿ Shadey Theatre Episode 17: A Quest Begun, and a Comic Hijacked. Shadey Theatre Episode 17: A Quest Begun, and a Comic Hijacked. A few things about making comics in 2002.
the ability so save as PNG or do a good clean GIF. (To this day Windows still can't process GIFs correctly. On top of that most Internet browsers could only process JPG and GIF. are saved in those formats. than JPG,) you needed a paint program such as Photoshop or Paint Shop Pro. Which I think explains why these comic tend to be so blurry, especially on the sprites. sprite comics and I had similar results.